Parents, alumni and family are all welcome to join the Jewish UAlbany campus community for Shabbat prayers and meals etc. You can also see these events listed on the UAlbany Homecoming 2015 Events Page by the Alumni Association. Yom-Kippur services are open and free to all students, faculty and community. Come for part or for all. 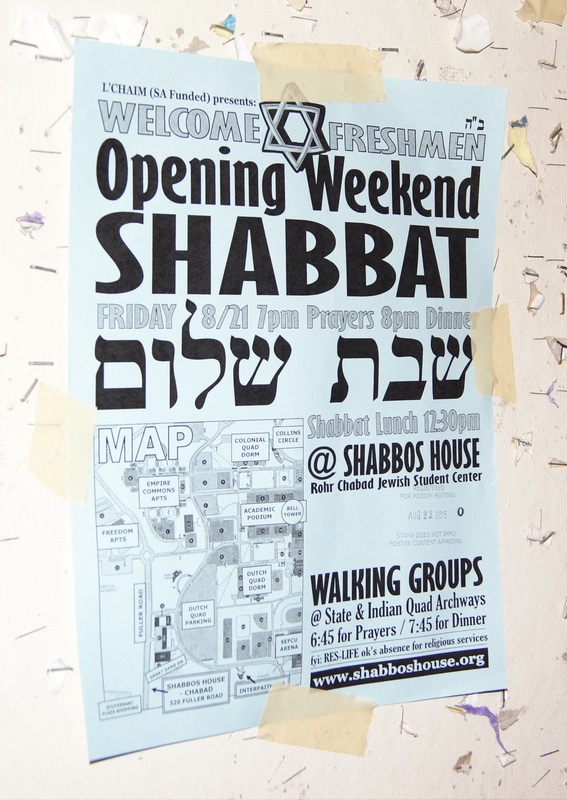 4:30-6pm: Pre-fast Dinner, full-course meal served at Shabbos House. 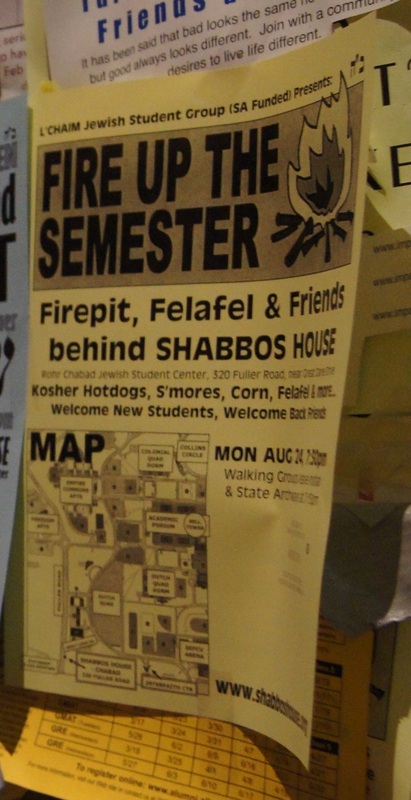 The L’chaim Student Board is planning something new for this year, a welcome (back) event at Shabbos House called “Fire Up the New Semester” around a firepit behind Shabbos House (and indoors as well). 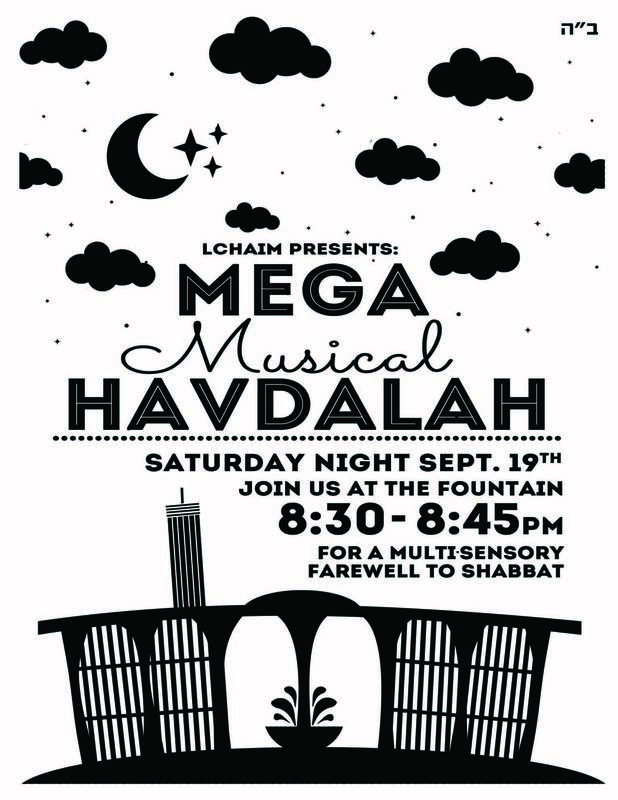 After a little hiatus at the end of July, we’re back on for Cozy-Shabbat weekends through August. All at Shabbos House.